Suitable for all skin types, this potent age-defying treatment works overtime whilst you slumber, to ‘un-do’ the day’s damage and firm and fortify the fabric of your complexion. Vitamin A (encapsulated retinol) has powerful rejuvenating properties, helping to correct and reverse discolouration and sun damage, while vitamin C helps to counter free radical attack, stimulate collagen synthesis and revitalise healthy skin cell generation. 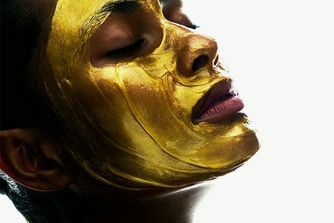 Omorovicza’s signature gold ferment then works to heal accumulated micro damage, while omega-6 intensively hydrates and restores your skin’s suppleness and barrier function. Finally, sodium hyaluronate promotes long lasting hydration so your skin looks brighter, tighter, plumped and luminous by the time the day dawns. We think that’s well worth its weight in gold. 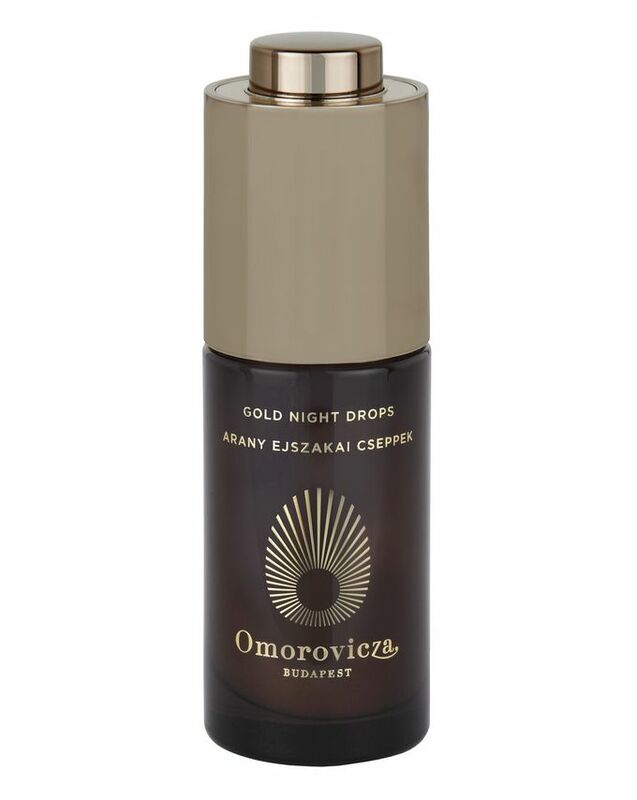 A good night’s sleep can be incredibly hard to come by (especially when you’re hooked on every Netflix drama), but Omorovicza’s Gold Night Drops are incentivising ‘Team CB’ to switch off, snuggle down and catch some incredibly precious Zzzzs. This beautiful age-defying elixir is a revolutionary night treatment, harnessing the anti-inflammatory properties of gold to maximise your skin’s processes of repair and renewal. The innovative, three stage action works to resurface wrinkles, repair and strengthen, and intensively hydrate and nourish the skin, so you wake to a glowing complexion. Omorovicza have triumphed again, so let Gold Night Drops put the ‘beauty’ in your beauty sleep. I bought this serum as my third ever retinol product and I have to say, I was very disappointed. I haven't noticed any difference in my skin texture after consistently using it for a month. For this price tag, I would expect more. Or something at least. There are definitely more effective retinol/retinoid products so I won't repurchase this one. I received a sample of this in a Cult Beauty order - I have ended up buying the full-sized bottle! This Retinol night serum is so hydrating and super efficient in repairing skin cells that when you wake up in the morning, it looks like you have had a facial overnight..! I absolutely love this product and is an amazing anti-ageing elixir that leaves the skin so hydrated, plumped and youthful. I use this in conjunction with Omoroessence. I use the Omoroessence first, then push and press in Vintner’s Daughter Active Botanical Serum, finishing off with Omorovicza Gold Night Drops. A little of the above products go a long way. Yes, my skincare regime is probably eye wateringly expensive, but my severe hyperpigmentation has now faded. I have thrown out my colour correctors, heavy concealers - and often aschew Foundation now as my skin is so clear and baby soft. I definitely recommend this as an amazing anti-aging night serum. It’s a great investment for your skin. Unfortunately, it did not work for me. I have never had major breakouts in my whole 32 years of life, even during the weird teen years. So when I ended up with pimples on day 2 of using this product (thankfully only a sample) I knew something was wrong. Being adventurous (and admittedly a little stupid) I tried to experiment by giving it a break and re-using after a week. Invariably broke out again. So I am sure I will never be ordering this product. It has retinol, gold, sodium hyaluronate, the best 3 ingredients. It's a fantastic night treatment that makes your skin look much younger day by day. Fantastic for my pigmentations and very hydrating! Definitely recommend it.